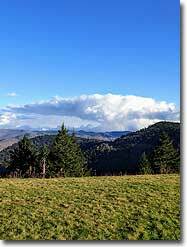 This is a short, forested hike to Richland Balsam, the highest peak in the Great Balsam Mountains of North Carolina and the 9th highest peak in the East at 6,410 feet. 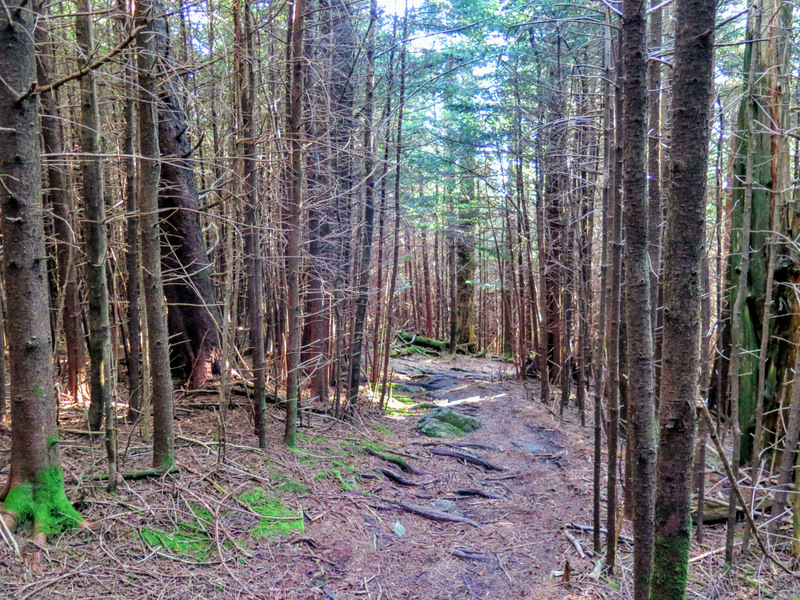 Although bereft of views, the nature trail travels through beautiful southern Appalachian spruce-fir forest along the spine of Richland Balsam. At 1.4 miles in length, this is a suitable hike for the family and can be combined with other short hikes and overlooks in the area. 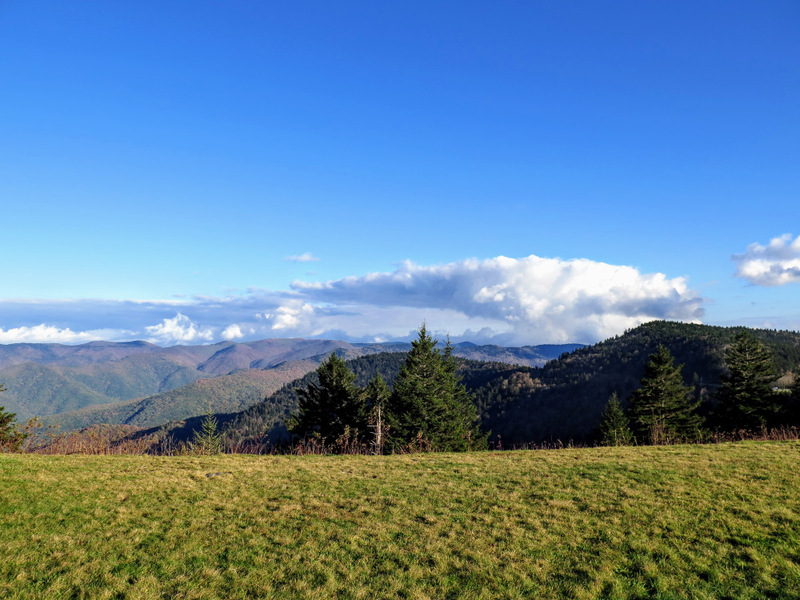 Although the Haywood-Jackson Overlook at the trailhead has good views, we highly recommend stopping at the Cowee Mountains Overlook at milepost 430.7 only 1,500 feet down the road. 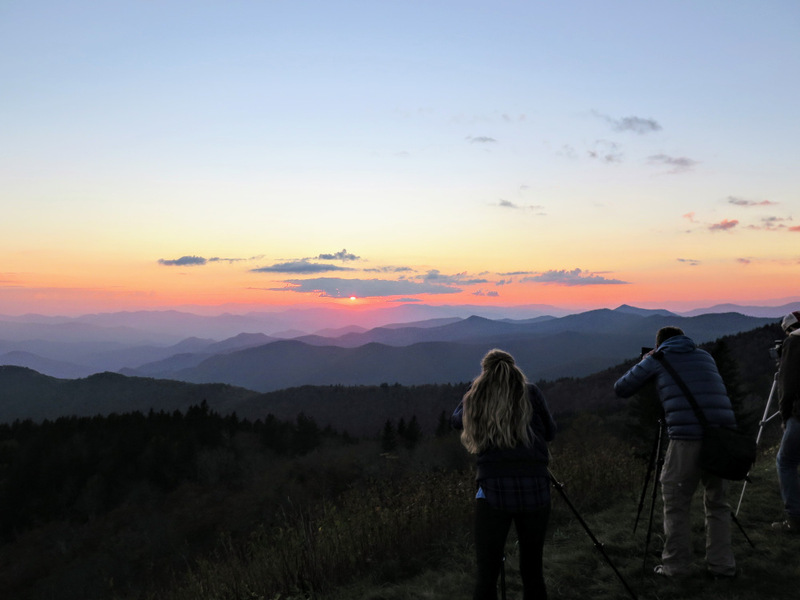 This is an extremely popular overlook for photographers, known as one of the best sunset viewpoints on the parkway. 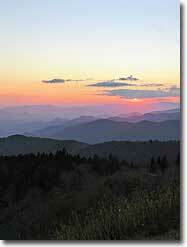 Seasonal Closures – This section of the Blue Ridge Parkway is normally closed throughout the winter. 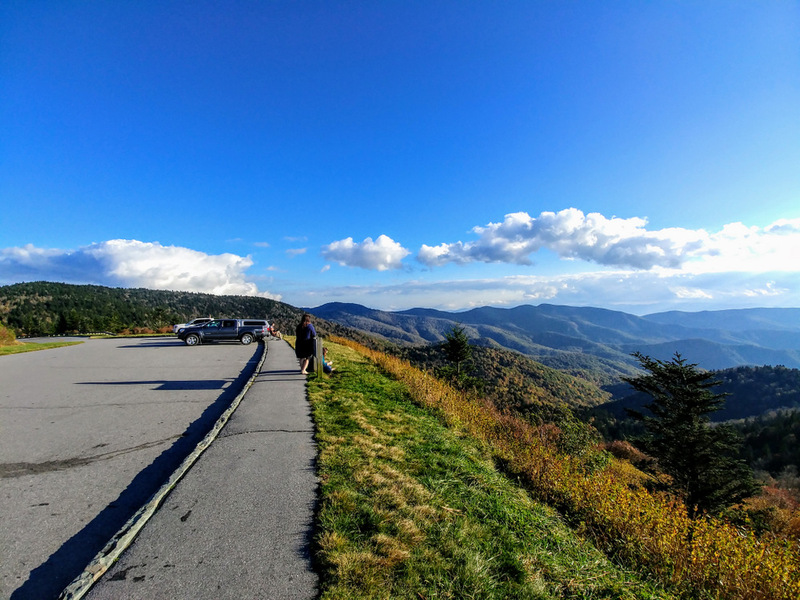 The Blue Ridge Parkway crosses its highest elevation at Richland Balsam Overlook (6,053 feet) on the west side of the summit. 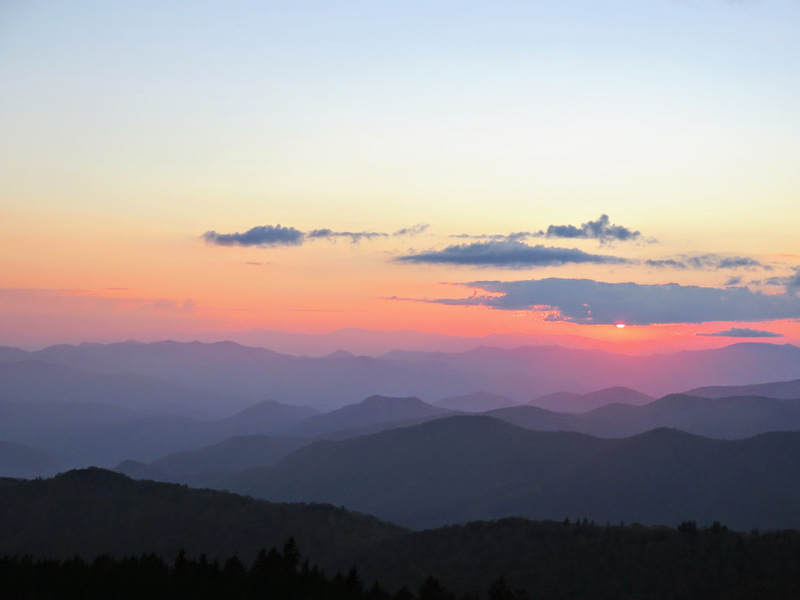 Please check the Blue Ridge Parkway real-time closures site before driving to this hike. 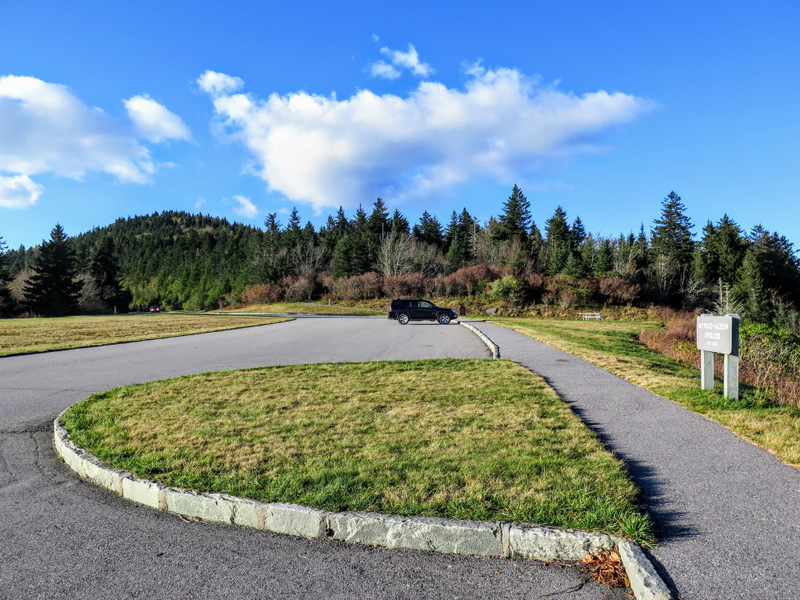 Mile 0.0 – Park at the Haywood-Jackson Overlook at milepost 431 of the Blue Ridge Parkway. 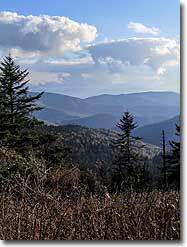 From the overlook you’ll have good views east of the Great Balsam Mountains in the Middle Prong Wilderness. Begin the Richland Balsam Nature Trail at the north end of the parking lot. Mile 0.15 – Split junction of the Richland Balsam Nature Trail loop. This hike turns left, but you can go in either direction. Going right is the shorter route to the summit but is also a steeper approach. Mile 0.25 – Narrow view to the southwest from the trail. This is the only view you’ll get from the trail. 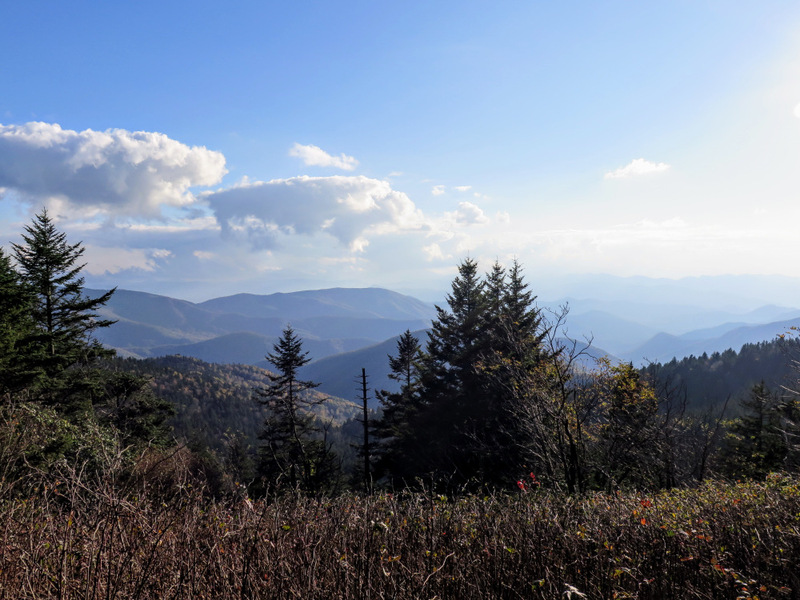 Mile 0.4 – The trail turns north and begins climbing towards the ridgeline through dense southern Appalachian spruce-fir forest. 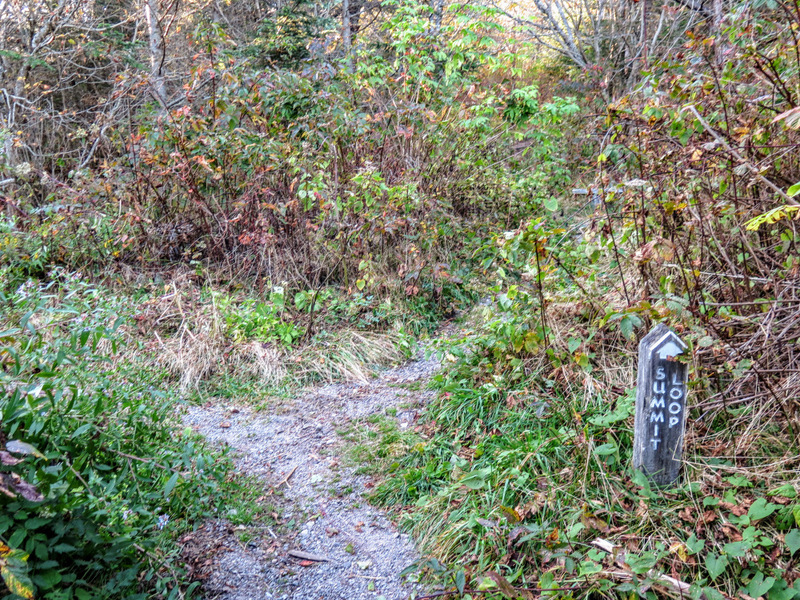 Mile 0.7 – When the trail reaches the ridgeline it makes a sharp right turn heading south. Mile 0.8 – Hike along the crest of Richland Balsam. The true high point is on a sloped bank just above the east side of the trail. Once you pass the true high point you’ll see a large sign on the trail incorrectly marking the summit. 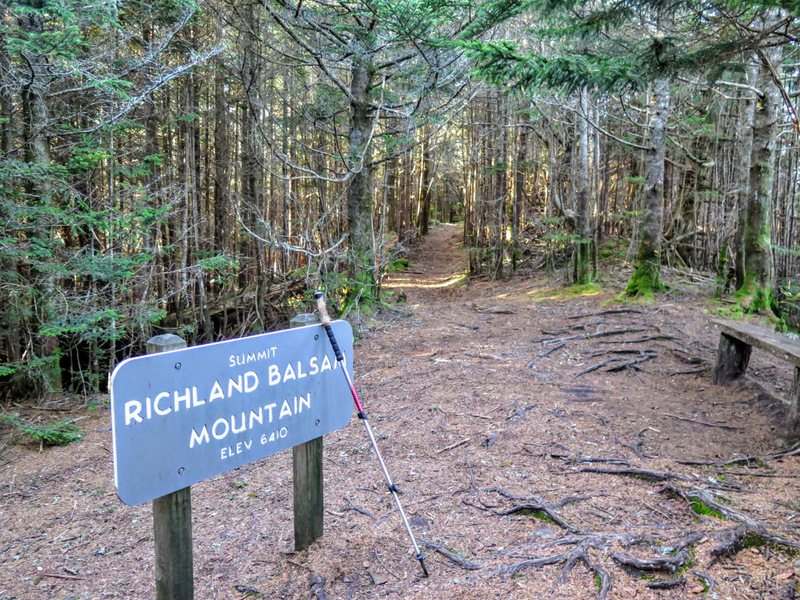 At 6,410 feet, Richland Balsam is the highest peak in the Great Balsam Mountains, and the 9th highest peak east of the Mississippi River. 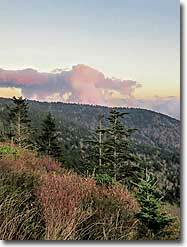 It is also the high point of Jackson County and the Middle Prong Wilderness, and the 5th most prominent peak in the East with 3,030 feet of prominence. This is a highly coveted summit for peakbaggers, so make sure you find the true high point off the trail if you are interested in this kind of thing. For more information on the South Beyond 6000 Challenge, please visit this link. Mile 1.2 – The loop ends, continue to the parking lot. 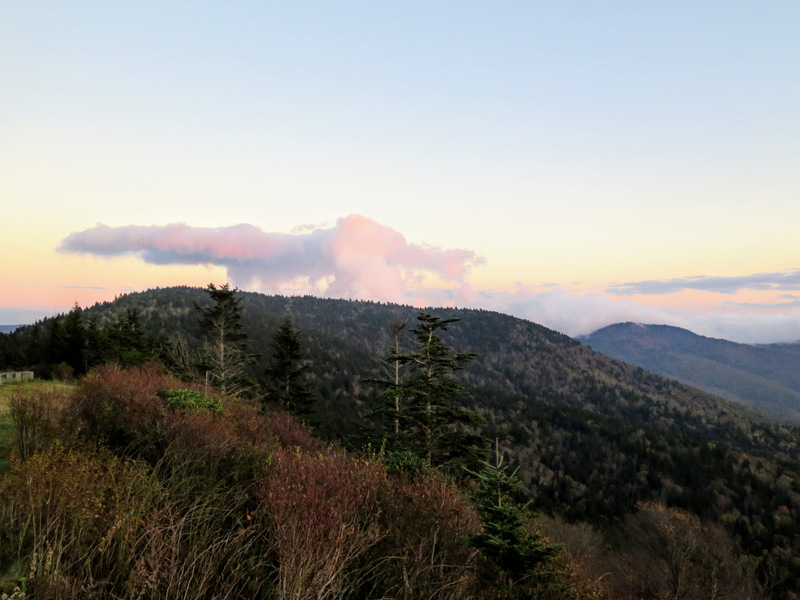 Mile 1.4 – Hike ends at Haywood-Jackson Overlook.